We offer a professional and confidential service to discuss all aspects of making your will and planning for your estate. We emphasise the importance of making a will as without one your Estate will pass in accordance with the Rules of Intestacy possibly excluding partners, unmarried co-habitants and step-children. 5. When making a will you can avail of the opportunity to seek tax advice or estate planning. It is often a topic that people choose to ignore or postpone. However, we believe that it is an issue which people should give serious consideration to. We will guide you through the relevant details such as tax, statutory entitlements of next of kin and trusts. Wills can be changed at any time and we advise clients review their wills to take in changed circumstances. Below is our most frequently asked questions about wills, if you find that your question is not listed please do not hesitate to contact us. It is important to make a will because if you do not, the law of intestacy decides what happens to your assets. A will can ensure proper arrangements are made for your family, and you are giving simple clear guidance for your family regarding how your estate is dealt with after you die, subject to certain legal rights of spouses and children. If you are married, have assets and or children you should make a will. It gives guidance for your family to deal with your assets after your death. How Much Does Making a Will in Ireland Cost? The cost of making a will in Ireland can vary from €50 to €150. A more complicated will which deal with trusts, property abroad, and require advice on capital gains tax and inheritance tax will cost more than a simple will. Our charges include the cost of making and safely storing the will on your behalf. Most clients will complete their will in a single appointment which will take less than an hour. Is a homemade will valid? A homemade will is valid if it satisfies the requirements of the Succession Act 1965. If the will is not executed properly in accordance with the requirements of the Succession Act it is void and will not be effective. Examples of where a homemade will is not effective are where the will is not signed or witnesses properly. 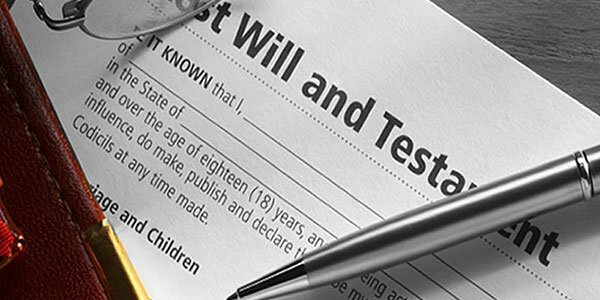 A witness to a will cannot be a beneficiary in the will or it will invalidate the bequest. There are a number of circumstances where it is important to take advice to ensure that the will is valid. An executor of a will is the person nominated in your will to ensure your wishes are carried out. Your executor can be a beneficiary under the will. If you die without making a will you are described as “intestate”. There are statutory rules as to how your estate is then distributed between your closest living relatives. The original will after your death has to be proved in the High Court. The state verification of your will is called a Grant of Probate and allows your executor to legally step into your shoes, collect and distribute your assets in accordance with your will. There are certain cases where a spouse or a child can claim part of the estate under the Succession Act. For example a spouse is entitled to claim the family home notwithstanding the provisions of the will. Subject to these exceptions wills in Ireland can only be challenged on the basis of undue influence on the person making the will or the testator was of unsound mind at the time of making a will. We are happy to liaise with you Accountant, financial and Tax Advisors to ensure the best outcome for transferring your assets to future generations. Our aim is to provide a professional and sensitive service at what can be a very difficult time for grieving families and friends. We liaise with financial institutions, Auctioneers, Government Departments, The Revenue Commissioners and The Probate Office to ensure that every estate is administered as quickly as possible. Where the property of a minor or a person with reduced capacity needs to be protected it may be advisable to make that person a ward of Court. We can advise and make a Wardship application where necessary. It may be also necessary to make such an application where a person becomes of unsound mind without having created an Enduring Power of Attorney. We have encountered countless problems facing loved ones where a person loses the capacity to manage and control their own affairs. We offer an efficient and confidential service in preparing an enduring Power of Attorney allowing you to appoint those whom you wish to manage your care, property, finances and affairs when you become incapable of making these vital decisions for yourself. Where the property of a minor or a person with reduced capacity needs to be protected it may be advisable to make that person a ward of Court. We can advise and make a Wardship application where necessary. We offer a professional and confidential service to discuss all aspects of preparing your will and planning for your estate. Fill in our contact form below for advice and/or assistance regarding making a will.